With Ben Affleck already set to play the male lead in David Fincher’s Gone Girl, the adaptation of Gillian Flynn’s best-selling thriller has at last cast the all-important role of the girl—you know, the one who’s gone. 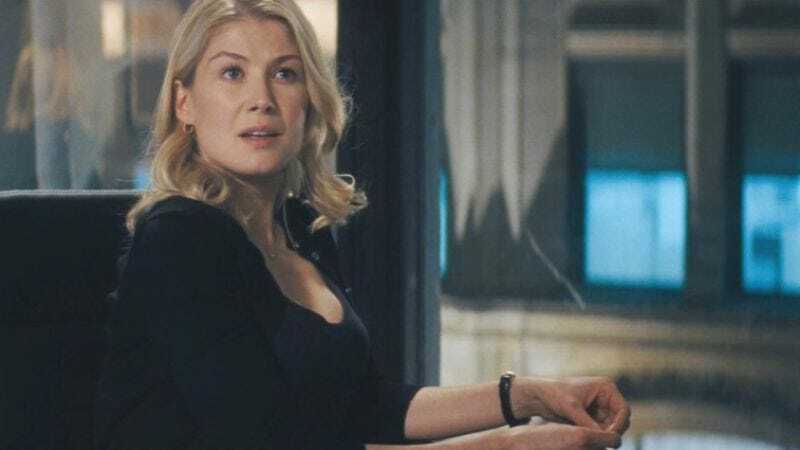 It’s Rosamund Pike, most recently seen crouching to an acceptable height in Jack Reacher, and a British actress whose usurping of an American role—and the fact that she’s six years younger than Affleck, thus changing the age dynamic in the book—is secondary to the fact that she’s real pretty, just as it goes for Amy in the novel. The Hollywood Reporter also notes that Neil Patrick Harris and Tyler Perry are both in the running for supporting roles, as yet unspecified. Though presumably Tyler Perry plays Amy’s sassy female friend, who smacks Amy in the head and exclaims, “Girl, you better get!” And that’s why she’s gone.